A popular American musical group, known as “The Piano Guys“, have completed a feat which is up there with the likes of Justin Bieber and Katy Perry – they’ve just racked up an impressive 1 billion views on YouTube. According to YouTube statistics, it’s a feat that’s only been achieved by over 100 YouTube artists, and usually, it’s the big time pop stars. This time, however, the award goes to small town Utah residents The Piano Guys. The group, made up of Jon Schmidt on digital piano, celloist Steven Sharp Nelson, Paul Anderson and Al Van Der Beek are known for their quirky piano/cello collab covers of popular songs, by big artists such as Adele, Coldplay, alongside the classics such as Beethoven and Mozart. 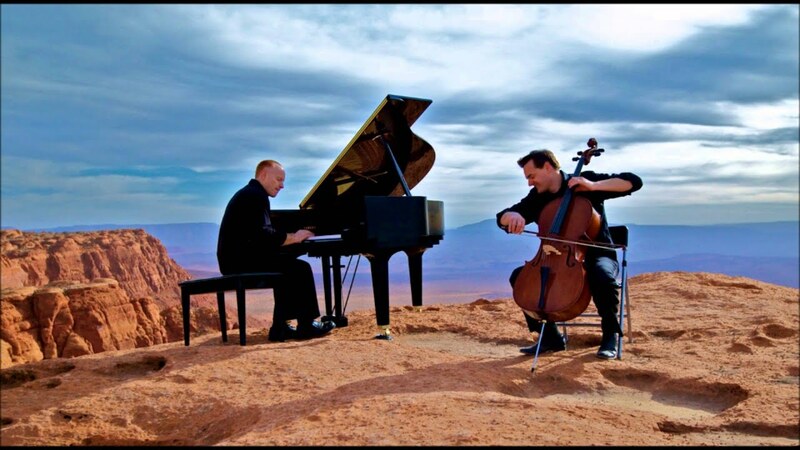 The Piano Guys was started in 2010, when musician and pianist Jon Schmidt entered the piano shop of Paul Anderson, and asked if there was any room to practice. This led to sessions between the two, and Tel Stewart, who also began filming, and putting the footage of their sessions on YouTube, not thinking anything much would come of it. Soon, they collaborated with studio technicians, and were uploading minimum of a video a week to their ever increasingly popular YouTube channel. 3 years later and now closing in on 5 million subscribers, alongside their 1 billion views, and the group are now on a mission to film at every seven wonder of the world, recently visiting Petra in Jordan. Pianist Jon Schmidt claims that he never intended on becoming famous on his little old digital piano, but it just goes to show that hard work and a passion for music and instruments can take you far.